They are back again after almost three years! 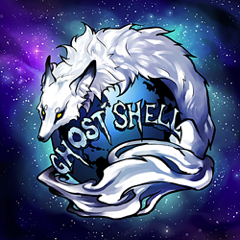 Team GhostShell, a well-known hacking group, has returned with hacks and database leaks. The hacking group claims to have leaked data from various websites within 24 hours. On June 29, the team posted on twitter links to a number of Korean and Japanese websites, educational portals, university websites and travel websites which they claim to have hacked. The posted websites and services do not appear to follow a particular trend or pattern so it is believed that the sites have been hacked. Lee J, a security researcher, posted on Cyber War News that when he contacted TeamGhostShell, they had explained that not all data is going to be leaked from targeted sites and as an example of this got shown an exclusive set of data from an Australian cloud provider (redacted for now) which contains 1,500+ full banking information such as full names, home addresses, mobile contact numbers, contract dates and probably worst of all Tax file number (TFN). The provider has been contacted at time of publishing. According to him, till the date, 444 different databases have been dumped from various sites and sub-domains mostly being education and government based. “A basic scan of these sites has shown that there is a heap of accounts leaks, over 17,700 have email and password combinations as well as many other user name and password combinations as well,” he added. “I have been told in a conversation with TeamGhostShell that they plan to leak data until they are caught,” he said. He said that the team has added pastebin.com account with a paste titled “Dark Hacktivism- Information is everything”. It is said that this is not the end. There are a lot more data to come over in coming days or weeks.